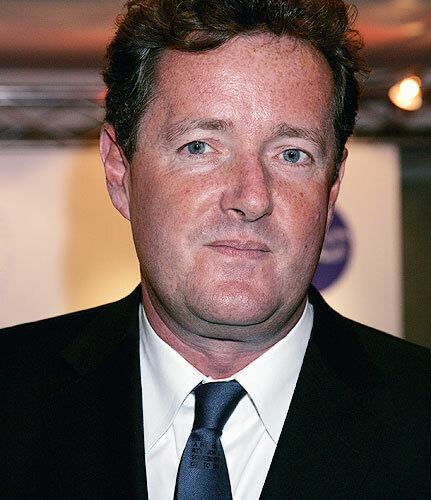 CNN host Piers Morgan has been on an incredible anti-gun rant ever since the massacre in Newtown. All well and good to voice one’s opinion, but the manner in which Morgan is going about it while representing a national news network is pretty amateurish. While the fact that Morgan is using the tragedy as a means to further his rant is transparent, it had to be quite shocking to his followers on Twitter when he admitted that he is “gleeful that a tragedy happened”. User @coelkhntr tweeted his thoughts: “I think you are somewhat gleeful that a tragedy happened to help you push your cause”. To which Morgan replied, “Of course I am, you moron”. Yesterday on his show, Morgan called a pro-gun guest several different versions of stupid. CNN’s Piers Morgan has been on a rabid anti-gun rant since July’s Aurora, Colorado, shootings that has gotten even more venomous after Friday’s massacre at Sandy Hook Elementary School in Connecticut. On Tuesday, he rudely and disgracefully tore into guest Larry Pratt, the Executive Director of Gun Owners of America, calling him “an unbelievably stupid man” who’s “dangerous,” concluding the interview by saying, “You shame your country”. This is what CNN passes off as a level-headed journalist, a man whose platform is transparently one-sided, and if you disagree with him you’re called all kinds of vile names. Previous post New York Times Can't Understand How a Black Person Can Be Republican Without Being a "Token"